The practice of fasting has been around for as long as humans have – from involuntary fasting, when early hunters struck out and had to go hungry, to voluntary fasting, when people have abstained from eating for religious, spiritual, health or even political reasons. Today, fasting is being promoted all over the internet as a simple way to lose weight, detoxify the body, improve heart health and achieve other health benefits. But does it really work? And is fasting the best way to gain these benefits? Studies on fasting are out there, to be sure, but few offer strong clinical evidence in humans. On the other hand, says Tse, the widespread health benefits of a moderate, well-balanced diet and regular exercise are soundly supported by mountains of evidence. So before you jump on the fasting track, whatever your reasons, consider some healthy food for thought. The weight loss is mostly water. Water weight, lost due to dehydration during fasting, comes right back. You’ll also lose some muscle. “All of the organs and cells in your body need fuel to function,” says Tse. “If you deprive them of fuel in the form of food, they have to get it from somewhere else, and one place they get it from is muscle.” While regaining water weight is easy, rebuilding lost muscle isn’t. Fasting slows your metabolism. Fasting sends your body into survival mode, slowing down your metabolism to conserve fuel by burning calories more slowly. Over the long run, a slower metabolism leads to weight gain, not loss. It’s really uncomfortable. Besides the hunger pangs, fasting can cause headaches and heartburn and can make you feel cranky, weak, tired, light-headed, nauseated and stressed out. Do you really want to feel like that on a regular basis? Fasting can backfire. The hunger that builds during fasting can drive people to overeat on nonfasting days, leading to wild swings between feasting and fasting that can promote weight gain and eating disorders. There are better ways to lose weight. If you want to lose weight and keep it off, the research overwhelmingly favors regular physical activity combined with a moderate, balanced diet – one that focuses on vegetables and fruit, whole grains, beans, lean proteins and healthy fats, in amounts that don’t exceed what your body needs. Adopting a healthier diet that you can live with, every day, can achieve the kinds of results that many hope to get from more drastic fasting diets, says Tse, with less pain and a greater chance of lasting success. One popular diet, for example, recommends eating normally five days a week and fasting two days a week. The 5:2 diet allows only 500 to 600 calories on fasting days – about 25 percent of the 2,000 to 2,400 recommended on average for women and men. “You’d be better off spreading that out,” says Tse. Tse recommends trimming 500 calories from each day through a combination of diet and exercise. This cuts the same number of weekly calories as the 5:2 diet without the downsides of fasting. Making small daily changes can shave 500 calories quickly. Try switching from lattes to black coffee in the morning, adding a 30-minute walk or workout at lunchtime, eating more vegetables instead of the main course at dinner, skipping the bread basket or passing on dessert. Here are 20 more ways to cut 500 calories a day. A few studies have shown associations between people who fast and certain aspects of heart health, but scientists agree that much more research is needed before any benefits or risks can be confirmed. Here’s another thing scientists agree on: There are plenty of proven ways to improve your heart health without giving up food for days at a time. First, pay more attention to the foods that you do eat. “A heart-healthy diet that’s low in sodium, saturated fat and trans fat is essential,” says Tse. The American Heart Association (AHA) recommends eating a wide variety of colorful fruits and vegetables, plus whole grains, every day, and including fish at least twice a week. See a previous post about the heart benefits of fish. Here are more healthy diet guidelines from the AHA. Second, says Tse: “Aerobic exercise is key.” Countless studies have shown that aerobic activity – the kind that gets your heart pumping faster – not only strengthens the heart, but also benefits heart health by lowering blood pressure, improving blood sugar and cholesterol levels and reducing body fat. In general, anything you can do to sit less and move more will help your heart. Try walking for heart health – it’s one of the easiest forms of aerobic exercise. Learn more about exercising for a healthy heart. If you have a medical condition, consult with your doctor before fasting. Drink extra water, broth and juice during your fast, if allowed, to prevent dehydration and to provide some fuel for your brain and body. Include calorie-dense fluids, such as milk, to provide some protein. If you must abstain from liquids during a fast, be sure to hydrate very well before and after each fast. Continue to exercise between fasts to preserve your metabolic rate and maintain muscle mass. To learn more about how to eat to achieve specific health goals, to lose weight or to manage a medical condition, connect with a Providence dietitian or ask your doctor for a referral. 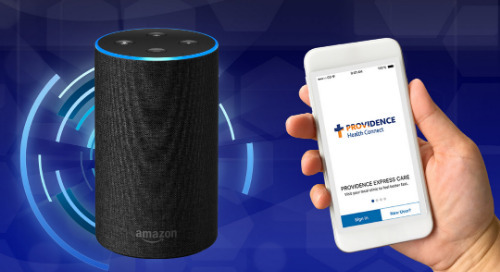 If you don’t have a doctor, you can find a Providence physician here.